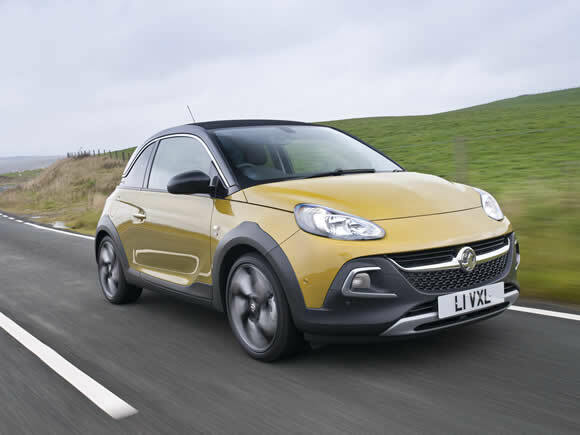 The Vauxhall Adam was an attempt by GM’s European brands to recapture the city car market now dominated by fashionable competitors such as the Fiat 500, Mini and Smart cars. 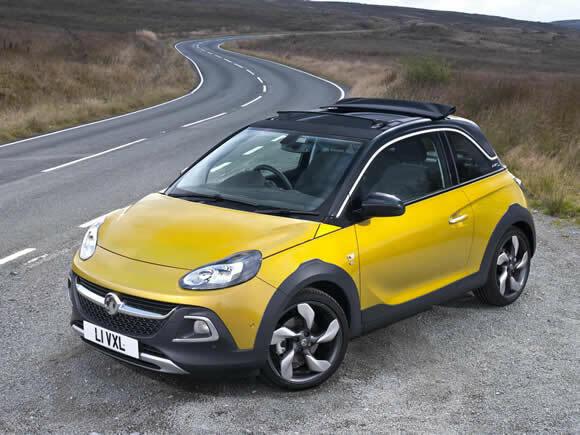 The Vauxhall Adam Rocks Air steps the ‘funky’ level up another notch with a combination of cross-over rugged off-road styling and a power-fold-back convertible roof. The inspiration is said to come from parkour athletes who find innovative ways to cross urban areas at speed. The result is a fashionable convertible that can win a carpark tussle and then break out onto sunny roads and enjoy a few rays on the way home. In cross-over style, heading off-road should be avoided but it does benefit from rugged looking bodywork that should help avoid scrapes. The styling will be attractive to those looking for something that stands out from the crowd while others may consider that it tries too hard. 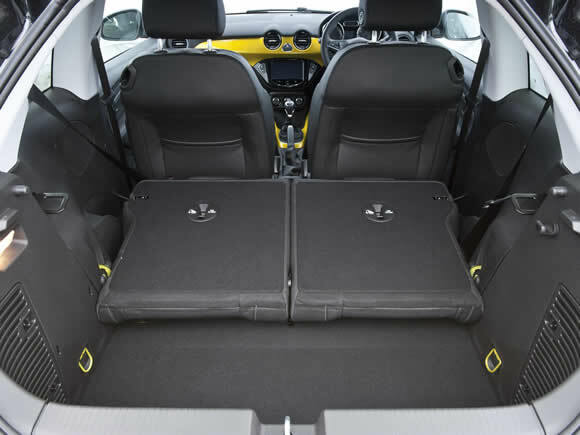 Inside it’s a proper hatchback with fully folding rear seats which means it is as versatile as any other supermini. As such, with four adults and luggage inside there is very little space to spare. Front seat accommodation is modern and comfortable if not as flamboyant as the exterior design. An optional 7-inch touchscreen sits in the centre of the dashboard allows control of features such as the infotainment system and connected smartphones. Handling and steering feedback are excellent which makes it great fun to whizz about in, while the light steering (particularly in City Mode) is precise and easy to control. The slightly raised suspension helps take care of speed bumps and potholes without ruining the body control with little roll in fast corners. The fabric roof folds back in the now common method leaving the window and door pillars in place. 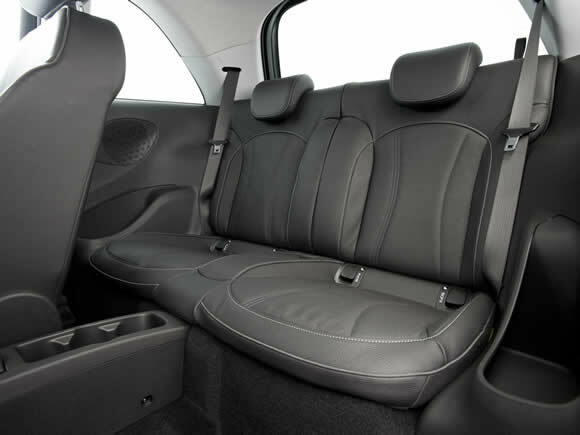 This is ideal for a town car like this as it gives the airy feeling of a convertible without losing body rigidity and keeping a barrier between occupants and pedestrians. Unlike the DS3 Cabriolet and Fiat 500C the rear window is fixed in place and cannot be folded. While this may be a little disappointing we have found in these other cars that rear vision is far better when the rear window isn’t folded. Standard equipment levels are comprehensive and include slick looking 17-inch alloy wheels, LED lights and a six-speaker DAB Radio. There is also an extensive options list should you want to personalise your car which include an impressive IntelliLink infotainment system with touchscreen navigation and Siri voice control. Those looking for transport to cross deserts or muddy fields should look elsewhere this one is an urban specialist with compact dimensions and nimble handling that can easily negotiate windy alleyways and tight parking spaces. The range-topping Vauxhall Adam Rocks Air 1.0T comes with the smallest engine offered in the car but thanks to some clever engineering it is both powerful and fuel efficient. The idea of a small turbocharged engine follows current fashion to get the most out of a lightweight petrol engine. The modern design makes it smooth and quiet despite being only three cylinders and there is plenty of torque for overtaking. The downsides are the occasional moments of turbo lag at low revs (which are soon avoided once you learn how to get the best from the engine), and the price. It really seems that this should be the only engine fitted to the car, but the older, less efficient power plants still offer more tempting price tags. The entry level Vauxhall Adam Rocks Air 1.2 comes in at an attractive price but lacks the sprightly performance of the other petrol options. The fuel economy is good and may better the rather more impressive claimed figure of the Adam 1.0T in real world driving conditions. It is best suited to city driving where performance figures are less important and the lightest car in the range benefits from agile handling. At launch, the Vauxhall Adam Rocks Air 1.4 is the middle child in the range - comfortably quicker than the tardy 1.2 but not up to the zesty drive of the 1.0T. As an option, it comes across as ample but not exceptional. This more traditional normally aspirated engine has proven itself in other cars and may have a longer lifespan than high-pressure forced-induction 1.0T. 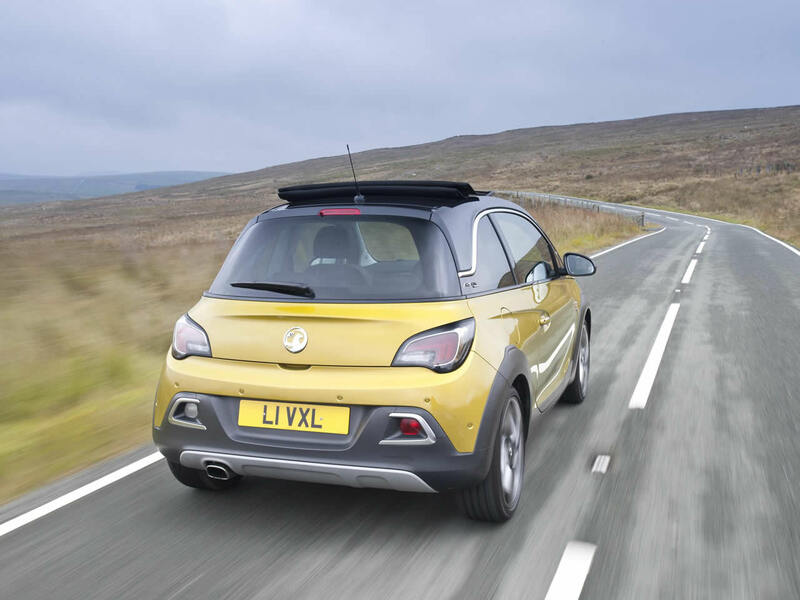 Do you drive a Vauxhall/Opel Adam Rocks Air? Would you recommend it to others? Start the conversation and let us know what you think of the car.